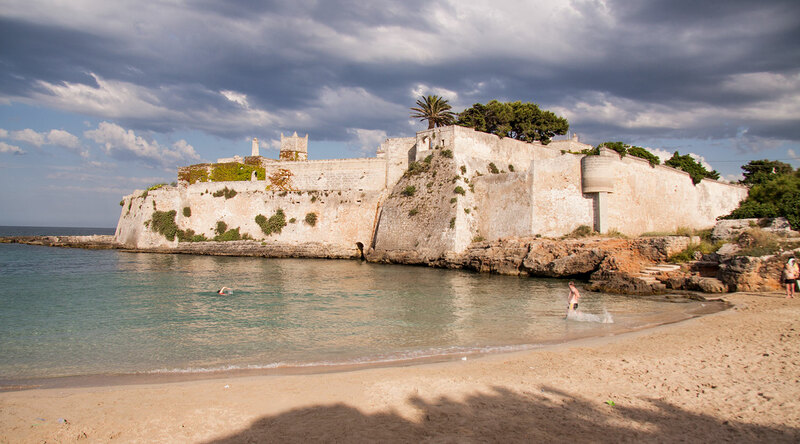 The area around Santo Stefano is certainly one of the most popular areas for bathing and it takes its name from the beautiful medieval castle and abbey of the same name nearby. Here there are many sandy beaches, small coves, cliffs which alternate between steep and gentle profiles inches from the water, offer you the chance to immerse yourself in the beautiful turquoise waters of the Adriatic Sea. This is the first of three coves in the area of the famous reception hall “Copacabana”. 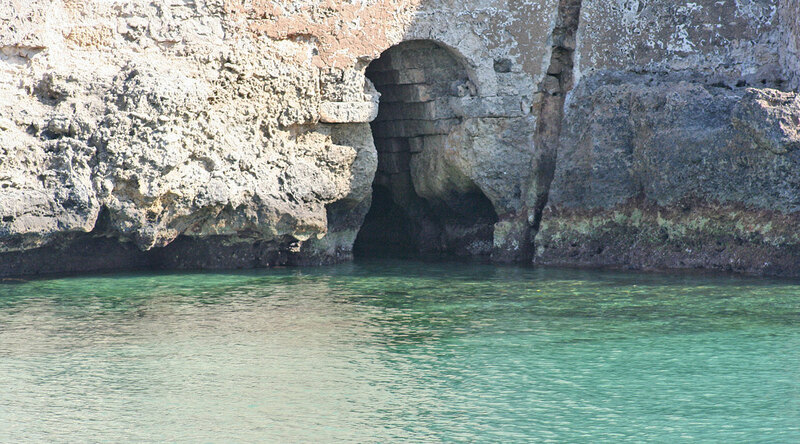 The cove’s name originates from the fact that in order to reach the beach there is an actual staircase carved into the rock. Access to it is made by following the path immediately before Copacabana. The beach is covered on one side by a high rock wall that shields on windy days. The seabed although shallow is in parts sandy and in parts rocky. The second Cove is more difficult to reach because you either have to squeeze yourself between the narrow rocks in order to get to the beach below or alternatively you can wade across a shallow stretch of water from ‘La Scalette’. The beach is very small while the sand is broken up by intermittent rocks. The Cove is also referred to as “Tomb raider” by the local youngsters like the adventure film to emphasize the difficulty of getting there on foot. The third Bay is the largest: a long stretch of sand interrupted only by a high cliff. Here too the seabed is sandy and the water is shallow. Facing out onto this beach is the balcony of the overlooking reception hall of Copacabana. In spite of being rather short, the beach is divided into two: one part is equipped with sun-beds and stairs which allow access to the lido, the other a public beach. The seabed is sandy out to the open sea where the clear and limpid water transforms to a deep blue. This sandy bay is privately managed and one where you can take advantage of a wide range of services. The lido is connected to the city by public transport and hosts a number of summer camps organized by the town councils of Castellana Grotte and Putignano. Access to the beach is free. Opening period: from June until mid-September. It is also known as the beach of the ‘Putignanesi’ due to the fact that it is used predominately by the citizens of the neighbouring town of Putignano. Half of the beach is free and the other half houses the lido. As it is rather a long way from the road, to get there you have to walk for a reasonable distance through the Mediterranean scrub land. For some time part of the countryside near the coast has been used by the private beach resort, which unfortunately does not have direct access to the sea. The cove of Porto Marzano piccolo, created in a narrow and deep coastal inlet, it is formed mostly by cliffs and a small sandy beach. The small beach is located near a row of houses so it is easy to find and can be reached by following a path through the local scrubland. The actual beach is situated between two prominent rock faces. 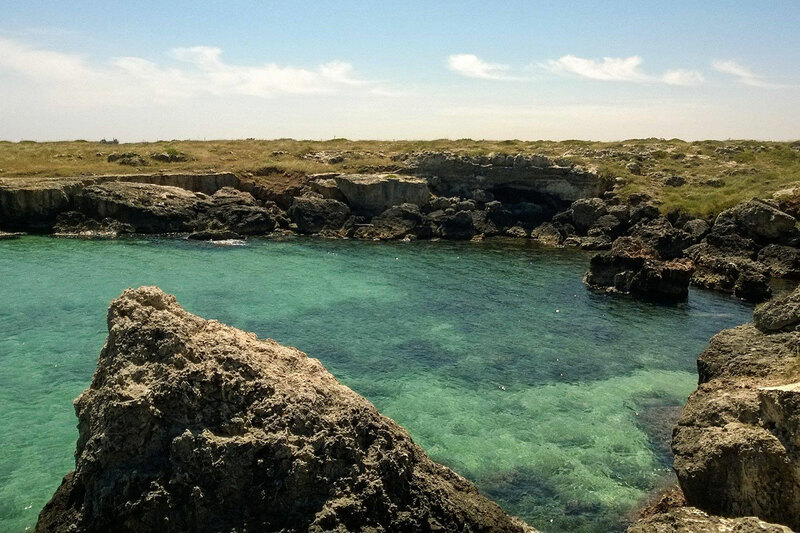 The water is shallow and rocky with a sandy bottom which gradually changes in tonality from green to blue. Free and paid car parking is available nearby. Porto Marzano is a lovely sandy cove accessible by the means of a short path through the native Mediterranean scrub. The cove is commonly called the “Devil’s Peak” due to a huge rock outcrop that protrudes out from the shore. Nearby you can take advantage of both free and paid car parking. Located at the foot of the ancient and magnificent abbey of Santo Stefano (St Stephen), in contrada (District) S. Stefano, it offers a wide expanse of sand, a welcoming sandy sea bed and clear green water. It is called “Ghiacciolo (icicle)” because the water is always ice cold. It is populated above all by young people and at the weekend is literally ‘mobbed’ for the beauty of its waters and the surrounding scenery. This particular beach resort is located behind the abbey of Santo Stefano (St Stephen), it offers a sandy bay with a clear green expanse of water. It is popular with VIPs and celebrities and is one of the most famous beaches in Southern Italy. The last beach before Capitolo and just as Cala Sottile it too is a hidden place, but it can be reached easily by car skirting alongside the campsite at Santo Stefano, this time from the right. 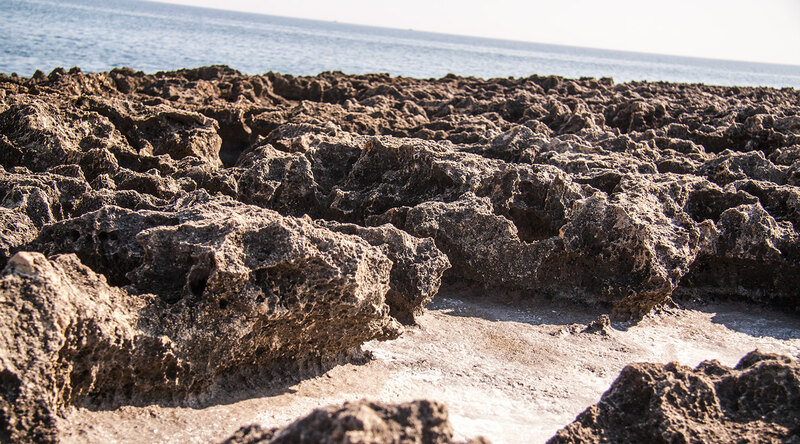 Its main features are a rocky seabed and fine sand.